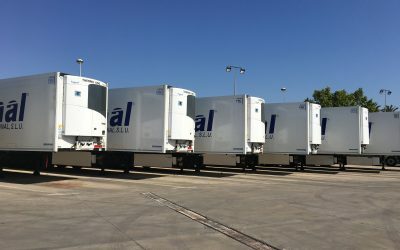 Our fleet has more than 100 own trailers and 50 collaborators with their own vehicles. Our medium-sized company structure facilitates proximity to customers and an independent, flexible adaptation to the daily needs of the market. Our philosophy is characterized by proximity to customers. 2018 Turnover: 15,2 million €, 14 employees; over 6250 full loads carried through the year, supported by an excellent liquidity without necessity of credit lines. We have more than 100 own trailers and 50 collaborators with their own vehicles, 95% equipped with GPS tracking system in order to have them and their goods always controlled. It is distinguished by our proximity to customers and our adaptation to their needs and market requirements. For this we maintain a medium-sized company structure, specialitzed in each sector with international reach. 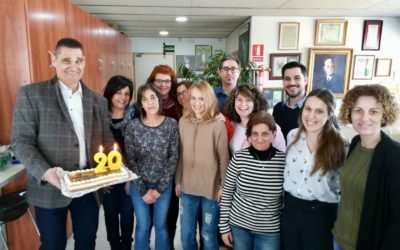 To achieve our customer’s full satisfaction, in linea diagonal internacional s.l.u we are committed to continuous improvement, getting high levels of quality and concern for the environment, through an Integrated Management System, wich is verified by means of the ISO 9001 e ISO 14001. We are happy to celebrate our Anniversary with all of you. 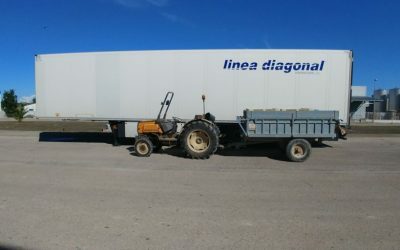 linea diagonal increases its fleet by 20 units to meet the needs of its customers.